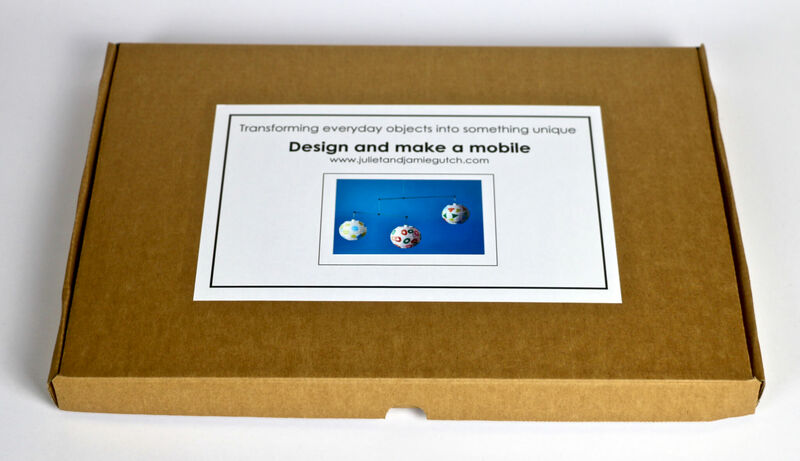 We are passionate about sharing the joy of making mobiles and have created two mobile design kits to launch at the Ilkley Arts Christmas Fair. 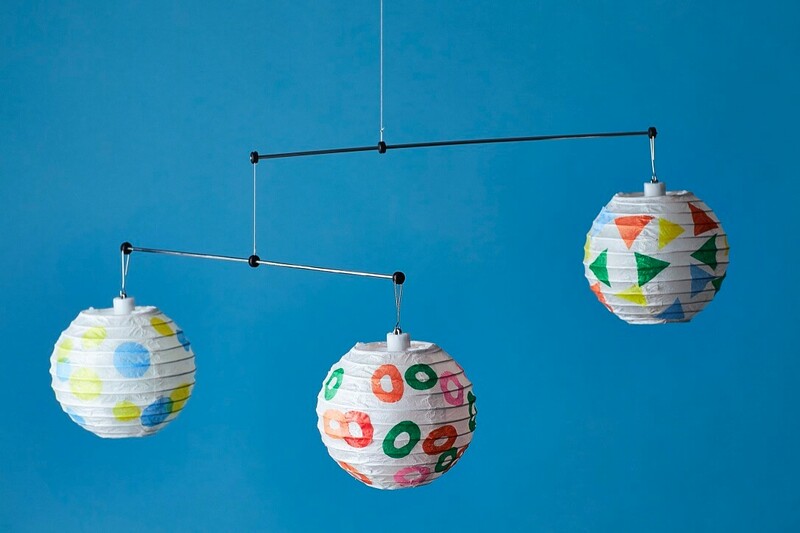 Both kits use everyday objects such as paper-clips, matchsticks, and small paper lanterns which are transformed into stylish, suspended artwork. 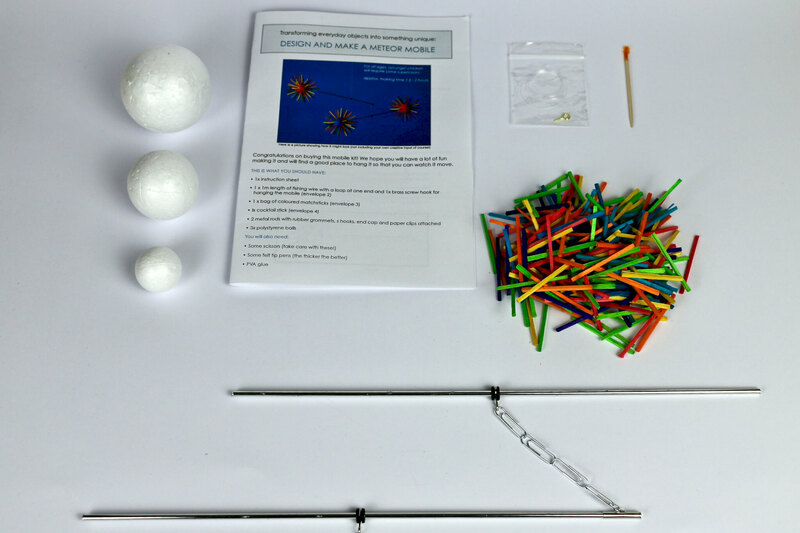 The idea behind both kits is that the person who buys one or who is given one makes the mobile unique in the way that they finish it. 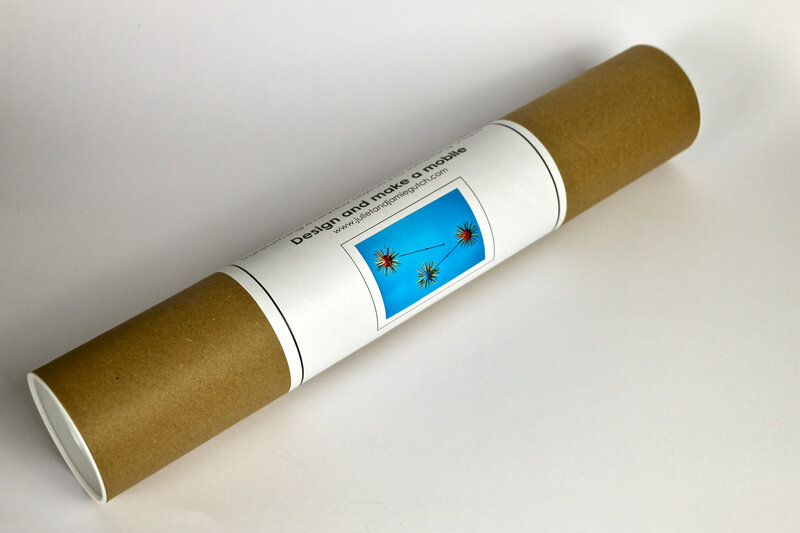 These durable artworks can then be hung in the home to enjoy. 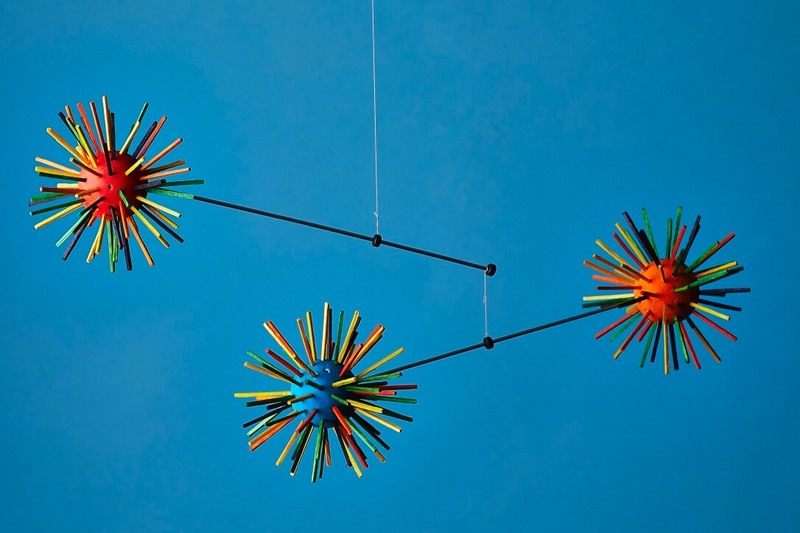 We have made mobiles on a large scale for big public and corporate atrium spaces such as John Lewis, BP and various hospitals around the country and on a smaller scale for domestic interiors. 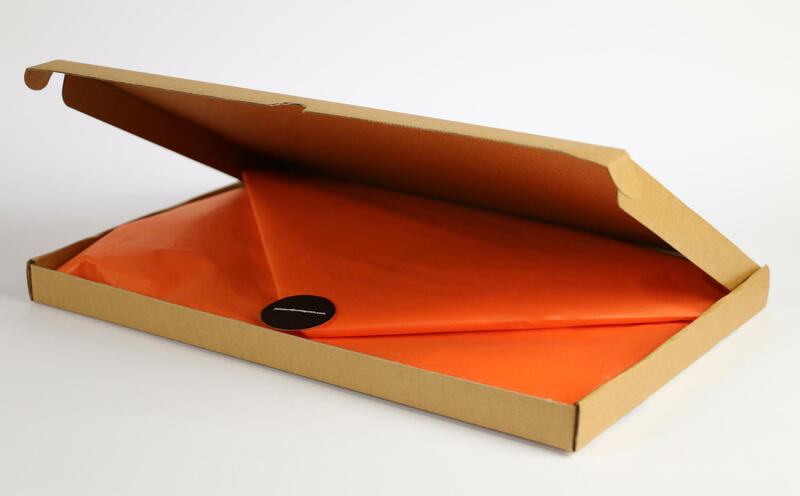 These new kits draw on that experience and combine a sleek hanging system with the potential for individual design. 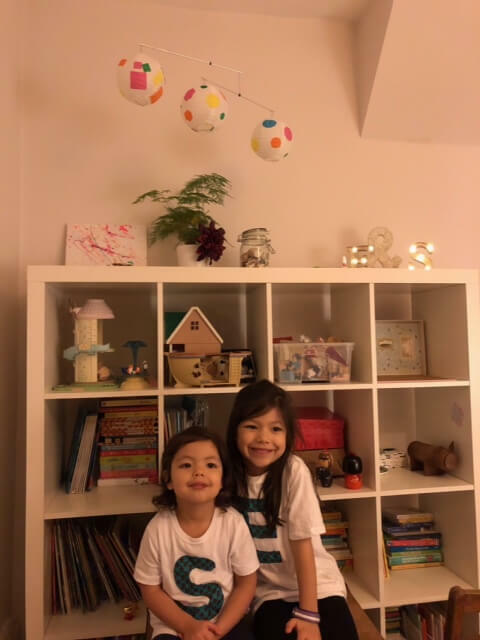 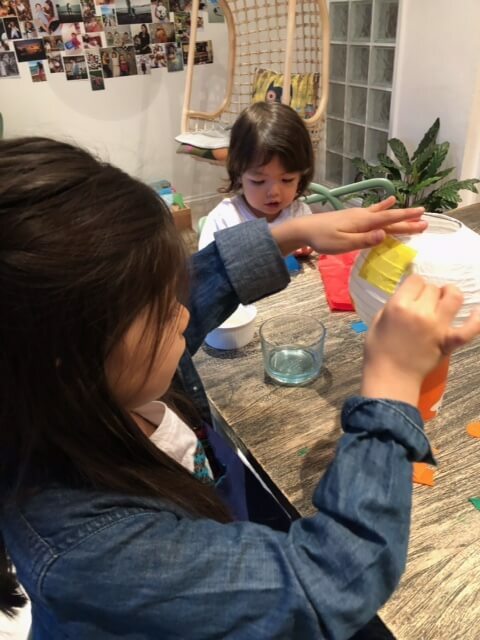 One kit – the ‘lantern mobile – uses small paper lanterns and involves creating a design on these which move gently in natural air currents once balanced. 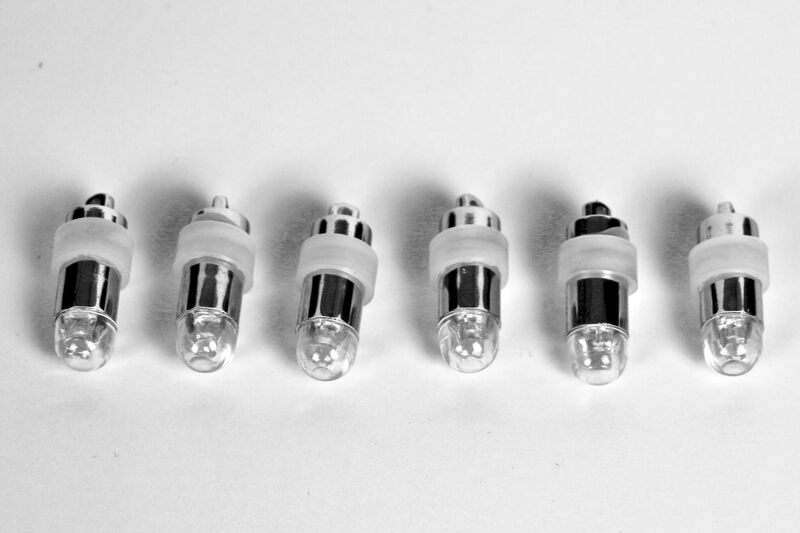 LED bulbs for the lanterns which hook easily onto the wire structure of the lanterns are included too. 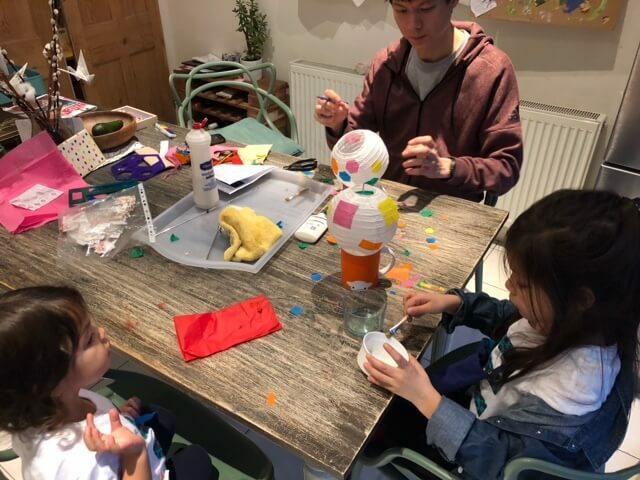 The other kit is called the ‘Meteor mobile’ and involves colouring or creating patterns on three different sized polystyrene balls and then covering them with coloured matchsticks. 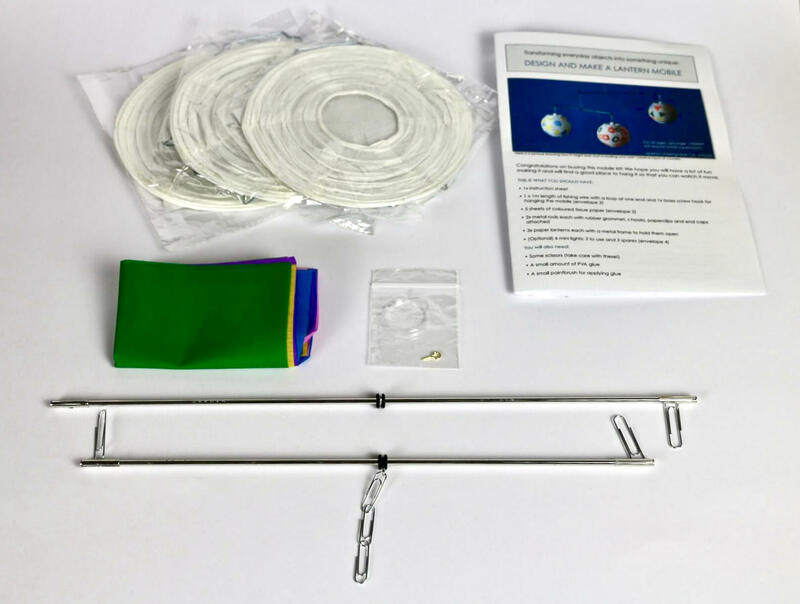 Each kit comes in a presentation box with step by step instructions on how to design, assemble and balance the mobiles.